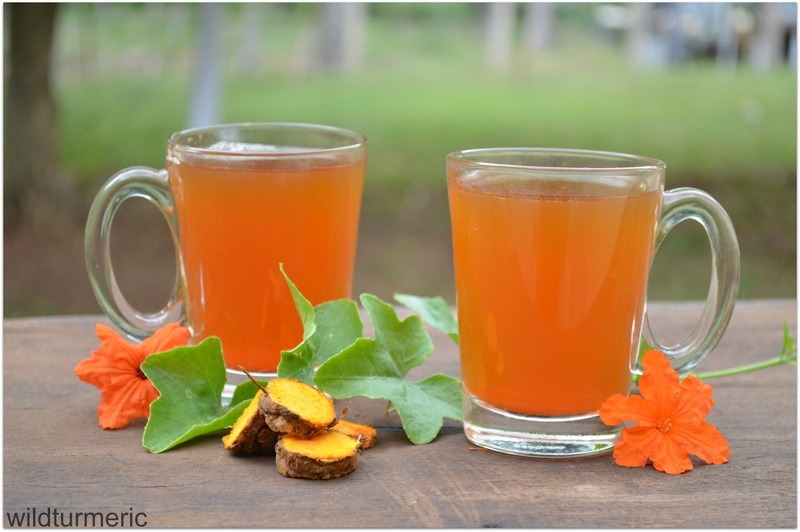 This turmeric tea is one of the best ways to consume turmeric for treating illnesses and it is an all purpose medicine. It can be used for treating inflammations, internal wounds, ulcers, fever and to increase immunity. One of my nieces shared her experience with me after drinking turmeric tea. A few weeks back she had severe knee pain and since she was having her exams, she didn’t have the time to visit a doctor. She tried turmeric tea as she had heard about it a lot. When she spoke to me about her experience she was all praises for turmeric tea because she said it was like magic to see her pain reduce considerably. This magic effect of turmeric is due to it’s wonderful anti inflammatory properties. I have been using turmeric extensively for many years now but I am still in awe with this wonderful spice. I am so in love with turmeric that I have never been without turmeric in my house. Drinking turmeric tea helps people suffering from acne. Especially if you are suffering from worst acne flare up that is very painful, without fail try drinking turmeric tea along with applying turmeric and holy basil face pack, it will greatly reduce the inflammation and give very quick relief. Using turmeric tea for treating cold and cough is a remedy that has been done for many years and it is so very famous here in India. It is such a common remedy that even children in most of the homes will be very familiar with it. 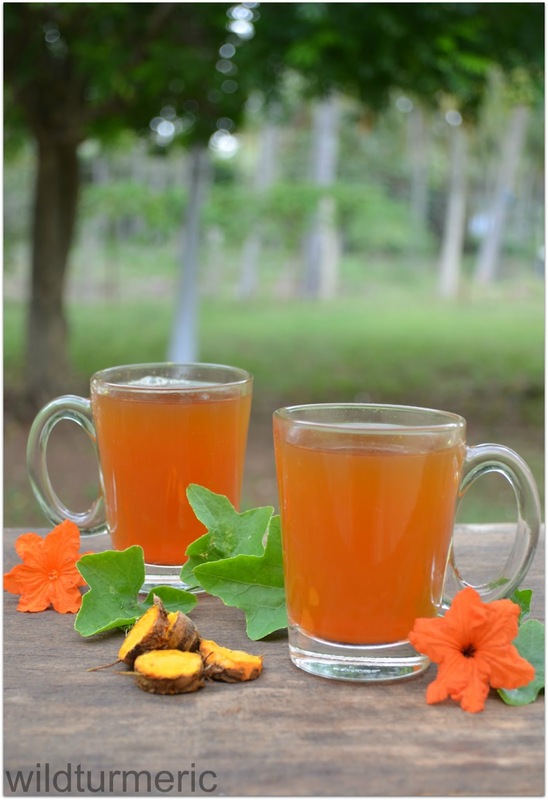 Especially the turmeric tea recipe given below treats all cold treated problems very well. 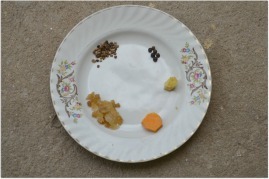 For children decrease the quantity of peppercorns in the recipe. One study done on mice showed that the mice that were given turmeric showed reduced liver diseases and were not prone to gaining weight easily. And now if you research about the weight loss aspect of turmeric you will be able to find numerous scientific articles regarding it. Though we can’t lose our body fat magically without a proper diet plan and exercise, certain spices aids weight loss and turmeric has been proven to do that. Turmeric has got powerful anti inflammatory properties and if your are suffering from any kind of inflammation or body pain like back pain, arthritis, internal wounds or ulcers consider drinking this tea. This tea has got both ginger and turmeric, both very powerful anti inflammatory spices which will heal the body very soon. There is no doubt that turmeric increases immunity. It is said to prevent cancer, Alzheimer, liver diseases and high cholesterol. 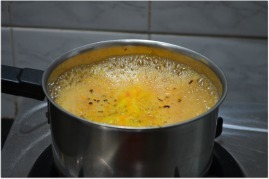 The recipe given below is my favorite way of making turmeric tea. 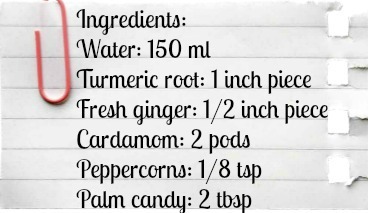 I have used fresh turmeric root but you can make this tea with organic, pure turmeric powder too. Once you try this tea as a remedy, you will never stop making this tea, it is that effective. If planning to take it daily, please keep in mind that turmeric tea might interfere with certain medications and especially if you are due for a major surgery please mention it to your physician …. 1. If you are using fresh turmeric, try soaking it in water for at least half an hour to remove all the dirt. Peel the outer skin and cut it into slices. Fresh turmeric stains more so wear gloves if you don’t want the stain in your hands. 2. Take the turmeric root, ginger, palm candy, peppercorns and cardamom seeds. 3. Pound all of them together coarsely in a mortar and pestle. 4. Boil a cup of water and once it comes to boil, add the pounded ingredients and boil for a few minutes. 5. 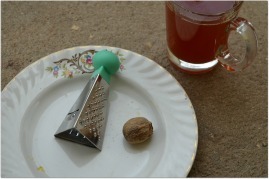 If you are planning on taking this tea before bed time, grate nutmeg into it and then strain. If you want to add milk and drink it as a comforting drink, add it after straining. While using it as a remedy for treating phlegm and indigestion, don’t add milk. I have used palm candy as it is very nutritious but if you don’t have it at home, substitute it with honey. Add it after straining the tea. This remedy is also very good for indigestion. Where do you get fresh turmeric now? Can we use turmeric powder instead of root? Hi. How much turmeric powder to use,instead of fresh turmeric? Thank you. i thought we are only suppose to use manjil when it is boiled and dried then taken only with milk or oil and usually the fresh one is not used because i never saw anyone drink it like a tea regularly and never had as a pickle as some north indians do. can you clarify? maybe this tea is only done only if necessary and not to be had daily? Boiling turmeric is done for variety of reasons: 1. It distributes the color evenly and sterilizes it 2. It softens the rhizome thus making it easier to slice into small pieces which decreases the drying time 3. It also removes the raw odor 4. It smooths out the skin making it easier to polish resulting in attractive turmerics..:). If you clean the roots well and boil the grated root till the raw smell goes, you can use fresh turmeric roots too..
Hi mam, Am growing turmeric in my terrace. Is it necessary to boil it before slicing drying n grinding? Is it unhealthy not to boil them before slicing drying n grinding ? Turmeric root is boiled for the above mentioned reasons (read the comment above). 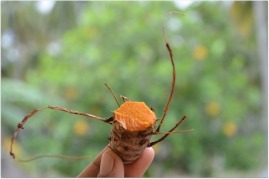 We use fresh turmeric a lot and in my opinion there is no harm in drying the roots without boiling it.. I have always thought that turmeric was fat soluble and should be taken with an oil or fat. Your tea recipe has no fat in it. Will this be absorbed by the body? Thank you for your help. Hi Ramya.Namaskar. This is really very nice and excellent, informative blog. Thanks for sharing your valuable knowledge. 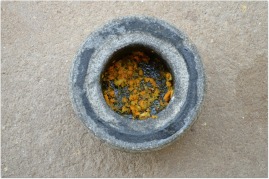 I have kasturi manjal powder at home. (WILD TURMERIC). Can i mix in milk for drinking like TURMERIC MILK. Plese clarify my doubt. Thank you. Pre Bridal Face & Body Polishing Ubtan For Instant Glow !! !